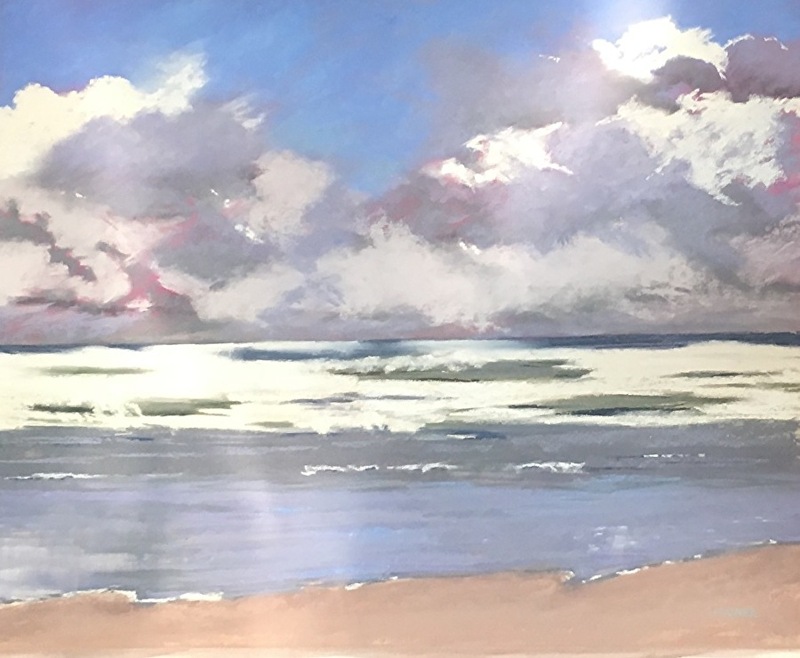 Bio: Boston artist Dina Gardner is a relatively recent convert to the pastel medium. A ‘creative’ person, but certainly not someone who grew up with a love for art or any noticeable artistic ability, Dina realized after finishing her first pastel painting that she had found her creative outlet. She has spent the last several years studying and reading everything she can about pastel, painting daily when possible and dreaming about painting when not. Her pastel box has traveled with her from coast to coast, and her sketch pad and pencils have traveled around the world, from Ireland to Bhutan. Dina has already made her mark, with paintings in private collections from California to Colorado, Massachusetts, Connecticut, Maine, Texas, Arizona, New York, New Hampshire, Rhode Island and internationally in Portugal, Tanzania and Canada. In addition to painting, Dina donates the proceeds from all of her paintings to an organization she founded in 2016, the “Pay It Forward Backpack Project”. This is a grassroots organization which connects the local Boston community to the Boston homeless population by directly providing homeless people with backpacks filled with winter essentials to help them endure the tough New England winters. For more information check her website. Style: Creative interpretation of the scene. Navigation: Straightforward; menu at top of page. Gallery: Landscape/Skyscape; Waves/Water; Still Life/Travels; Sold.